Complex machining such as high precision 2D / 3D shape, curved shape, etc. Can be done with our NC spring and multi forming machine manufactured by our company. Our company's forming processing technology specialized in microfabrication is actively collaborate with not only in pins of electronic parts but also in a wide range of industries such as medical parts, eyeglass parts and fishing tools. 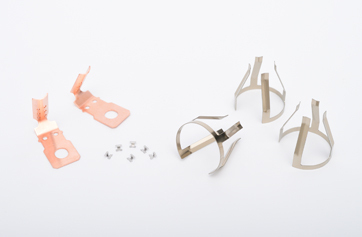 Utilizing a multiple forming machine with bending from up to 12 directions and stamping device, we are offering thin sheet material products that cannot be manufactured in pressing machines. 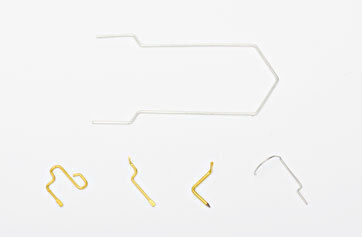 Plated material and plating process are also available.